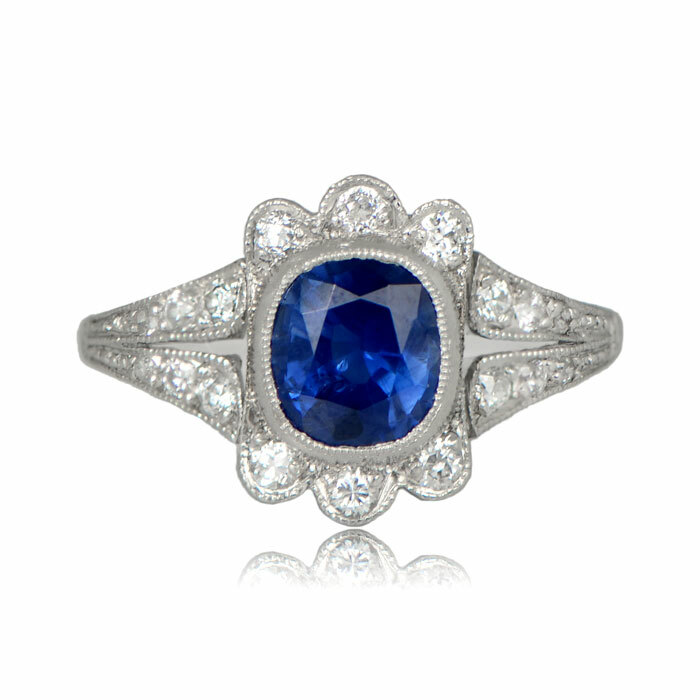 A gorgeous sapphire ring, adorned with diamonds and set in a lovely handcrafted platinum mounting. 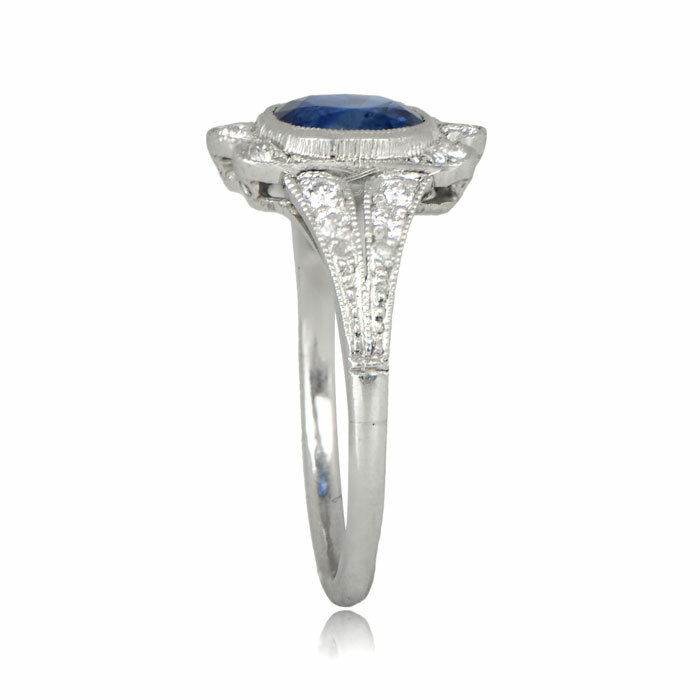 The center sapphire weighs approximately 1.20 carats. 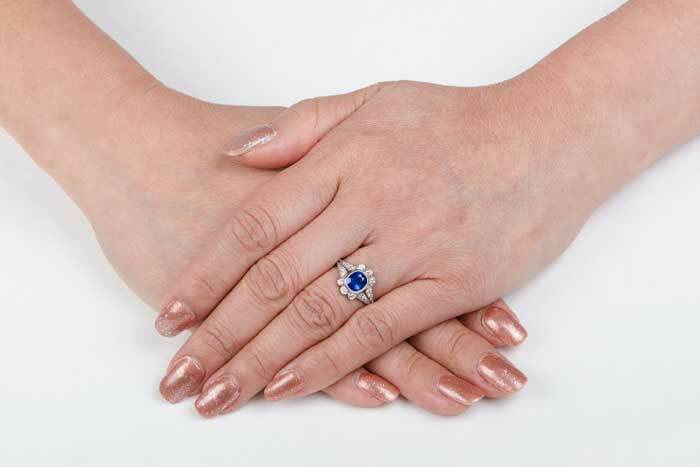 Fine milgrain adds delicacy to the ring. 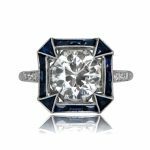 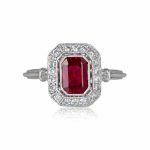 SKU: 11488 Categories: Diamond and Sapphire Engagement Rings, Sapphire Engagement Rings, Vintage Cocktail Rings, Vintage Engagement Rings - Contact us and request additional pictures.